Imagine inviting delegates to your next conference in unique Fiordland, to unwind and be inspired. Meetings on the edge of New Zealand's second largest lake, team building exercises below towering peaks and pure, green rainforest, Distinction Te Anau Hotel and Villas is truly a unique experience. Conveniently located just minutes from the Te Anau township, overlooking beautiful Lake Te Anau and the Fiordland National Park, Distinction Te Anau Hotel and Villas is the perfect base for a variety of conferences, meetings or events. We believe that each conference or event is unique. Our priority is to deliver an environment of relaxation and well-being to enable you to work, think and to stimulate your delegate's imaginations. With your own designated Events Coordinator, you can rest assured that your conference will be taken care of with the utmost care and attention to detail. 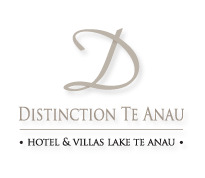 Distinction Te Anau Hotel and Villas provides a dedicated conference facility, seating up to 220 people. Each meeting room has been designed to suit a variety of needs and has incorporated the latest technological innovations and equipment, all checked prior to your arrival. Please scroll down to view more information about our various conference, meeting & function rooms. For maximum efficiency and success we take the comfort of all those attending very seriously. With the well being of every attendee in mind. We offer innovative, well balanced meals, invigorating and healthy breaks, spacious, quality accommodation and unequalled pre and post event team building activities. We welcome the opportunity to tailor a distinctively special package especially for your coference or event. 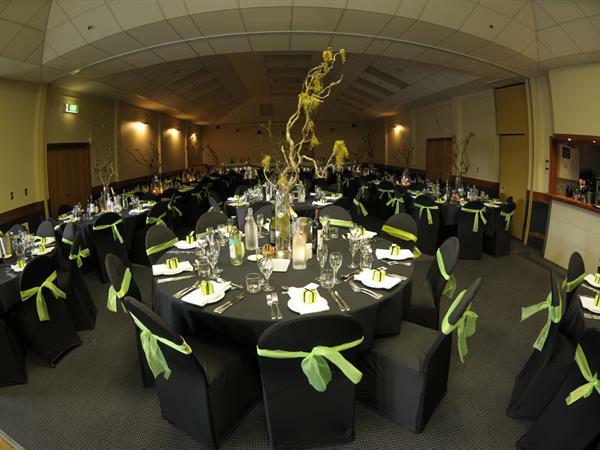 For a quotation, or further information and/or a comprehensive conference or event kit, please contact our Distinction Te Anau Events Coordinator today. Our spacious, air conditioned Turnbull Room at Distinction Te Anau Hotel & Villas can cater for up to 220 guests and can easily be divided into two smaller soundproof spaces. The only wedding chapel on the lake, unique to Distinction Te Anau Hotel and Villas. This artisan inspired glass wedding chapel enjoys panoramic views of the lake and ranges. A special place to say ‘I do’. Furnished to the highest quality, the MacKinnon Private Room at Distinction Te Anau Hotel & Villas is the perfect venue for the smaller meeting or training event. With spectacular views and sleek interior, our renowned MacKinnon Restaurant at Distinction Te Anau Hotel & Villas is ideal for that extra special event.